Whilst it is far too soon to predict what what will happen to next year’s Bordeaux en primeur parade, the Burgundy 2014 en primeur consumer campaign, which kicks off in London next month, seems poised to be another roaring success. Burgundy en primeur is a much more recent invention than its counterpart in Bordeaux and has only really got going in the last decade here in the UK. 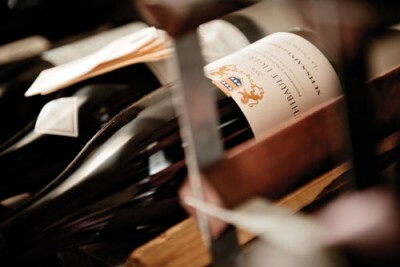 Yet, it has developed quickly, alongside rising demand – and prices – for fine Burgundy. A recent review of the fine wine market 2015 shows no let-up in the high consumer demand for Burgundy wines as attention turns to the Burgundy 2014 en primeur campaign. Much of the essential groundwork for Burgundy en primeur was laid by the traditional but also very forward thinking St James’ merchants, Justerini & Brooks, which pioneered the then revolutionary concept of selling Burgundy futures beginning with the 1990 vintage. To celebrate the 25th anniversary of that vintage, it organised a remarkable tasting and dinner in London on 25 November 2015. Justerini & Brooks’ chairman, Hew Blair, presided over the dinner and was the driving force behind this daring move into en primeur sales. ‘Our first tasting in 1992 was at the In and Out Club in London where we had barrel samples from 20 growers and customers had the opportunity to meet the growers for the very first time,’ Blair said. Ten years later, in 2002 almost every UK fine wine merchant worth their salt was selling Burgundy en primeur. Today, it is a key and profitable part of the fine wine calendar. In January this year, Justerinis sold £3.1m worth of 2013 Burgundy on the back of its London tasting. The wines we tasted in November were all growers who Justerini & Brooks continue to work with and ranged from Burgundy 2013 back to 1990 with many of Burgundy’s greatest and most glamourous names: Dauvissat, Rousseau, Roumier, Clos des Lambrays, Meo-Camuzet, Bruno Clair, Leroy, Mugnier, Grivot, Comtes Lafon, Coche Dury and Cathiard and many more besides. In Burgundy, the tradition is to taste red before white and we began with some 13s, 12s and 11s. Several grabbed my attention including a superbly precise 2012 Morey St Denis La Riotte 1er Cru from Hubert Lignier and a lush and lovely 2011 Clos des Lambrays. Both were gloriously fresh and pure with perfumed aromatics, sweet bright strawberry and raspberry fruit. Better still was Freddie Mugnier’s sublime and powerfully composed 2011 Nuits-St-Georges Clos de la Marechale. Etienne Grivot’s intense, exuberant and very vivacious 2009 Vosne-Romanée Les Beaux Monts 1er Cru was also a cut above. Then came Roumier’s heavenly creamy, satin-textured, plump and exotic 09 Chambolle-Musigny Les Cras. The words complex and long simply simply don’t do this wine justice. Unfortunately, I felt the 2008 La Grande Rue from Francois Lamarche seemed just a little tired against some of the more exciting youngsters, such as the superbly sure-footed violet, cola and tobacco charged 2007 Chambertin Grand Cru from Chantal Remy. And there was no lack of notable standouts in the older wines, especially when served with food. One was the defiantly fresh, complex and sweet fruited 2003 La Romanée Grand Cru Monopole from Domaine du Comte Liger-Belair. Ditto Domaine d’Auvenay’s age defying 1999 Mazis Chambertin. Another star was Emmanuel Rouget’s almost indecently young and truffley 95 Echezeaux, recently on sales for £4,000 a case compared to just under £500 in 1998. However, my wine of the night was Armand Rousseau’s 1993 Chambertin. This was magisterial: fresh, vigourous, with incense, ink, violets, cep and sous bois. In 1995 it was also relatively affordable at about £65 a bottle. To buy it now will set you back £17,000 a case. On the white front, the wines were no less impressive with some extraordinary Chassagnes, Pulignys and Batards from Paul Pillot, Château de Meursault, Bachelet-Monnot as well as a brilliant 2010 Meursault Les Chevalieres from Boisson Vadet and equally exceptional Corton Charlemagne Grand Cru from Remi Rollin. However, one particular flight included Vincent Dauvissat’s 2008 Chablis La Forest 1er Cru (savoury, flinty, with quince, apple and citrus fruit), Etienne Sauzet’s 2009 Puligny-Montrachet Champs Canet 1er Cru (powerful, ripe, dry and long with hazelnut, pear and minerals) and, best of all, Coche-Dury’s 2007 Meursault Les Rougeots, which was show-stoppingly complex with extraordinary tension, toast, struck match, herbal notes, stone fruits and a phenomenal textured finish. If it was Justerini & Brooks’ intention to prove that they have one of the biggest and best Burgundy lists in town, all I can say is that they did so in spades. Justerini & Brooks’ Burgundy 2014 En Primeur tasting is at One Great George Street SW1 on 13 January.